Item # 317573 Stash Points: 3,195 (?) This is the number of points you get in The Zumiez Stash for purchasing this item. Stash points are redeemable for exclusive rewards only available to Zumiez Stash members. To redeem your points check out the rewards catalog on thestash.zumiez.com. 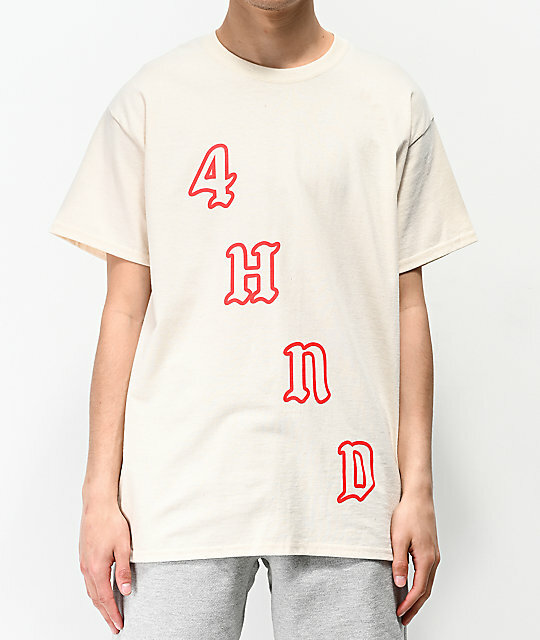 Garnish your daily looks with the 4Hunnid Team Cream T-Shirt. Constructed from a classic cotton blend, this garment features diagonally printed bold logo script on the front while the mid-back displays a more subtle logo script graphic. 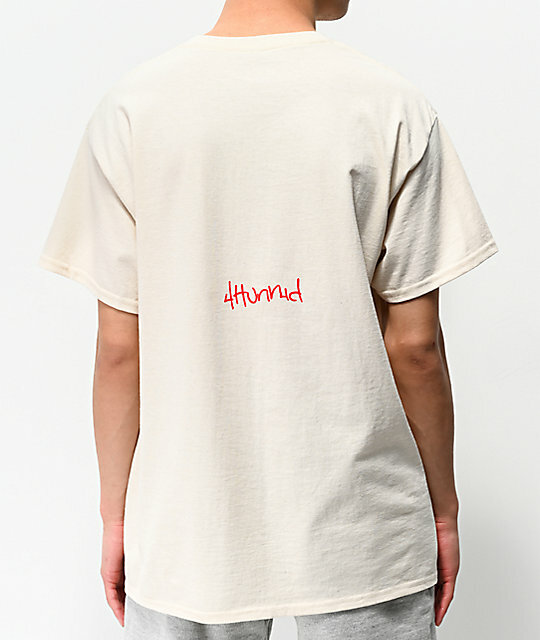 Team Cream T-Shirt from 4Hunnid. 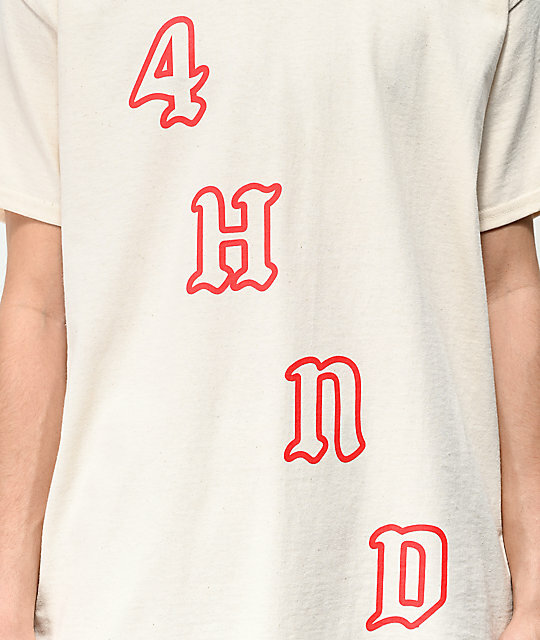 Diagonal screen-printed logo script on front, horizontal logo script on mid-back.